The only way to determine whether one is infected by the hepatitis C virus is by getting tested for hepatitis C antibodies in the blood. An antibody is a protein produced by the body to fight a particular harmful bacterium or virus or chemical substance which is known as the antigen. It protects the body from any damage that the antigen could produce. An antibody is specific for a particular disease-causing antigen and acts by destroying it and stopping it from spreading throughout the body. 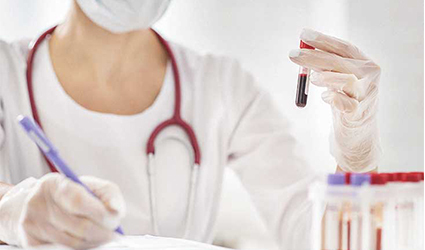 The hepatitis C antibody test detects antibodies for the hepatitis C virus in the blood. Antibodies in the body indicate that a person has been infected with the virus at some point. However, it does not always mean that they still have the virus. The result of the test is either non-reactive/negative or reactive/positive. A reactive or positive test result indicates that the person has had the virus but does not mean necessarily mean that they still have it. Further tests will be needed to determine whether the virus is active whether treatment is required. After being diagnosed with hepatitis C, the person is required to take various other tests to check how the virus has affected the body. The tests will show if there is any impairment of liver functions and to what extent the liver has been damaged. This will help the doctor to plan out the treatment. Hepatitis C virus is treated with an antiviral medicine which targets the virus and kills it. The treatment also aims at reducing the damage to the liver and preventing liver cancer or cirrhosis of the liver.